Writer of the critically acclaimed novel The Color Purple, Alice Malsenior Walker is an activist and author. This brilliant and ingenious woman won a Pulitzer Prize and National Book Award for her writing in the book The Color Purple. Some of Alice’s notable works include the Third Life of Grange Copeland and Meridian. A passionate writer, Alice believed in equality and freedom for women. She is also a poet and some of her all time hit poems include ‘We Alone’, ‘Before You Knew You Owned It’ and several others. 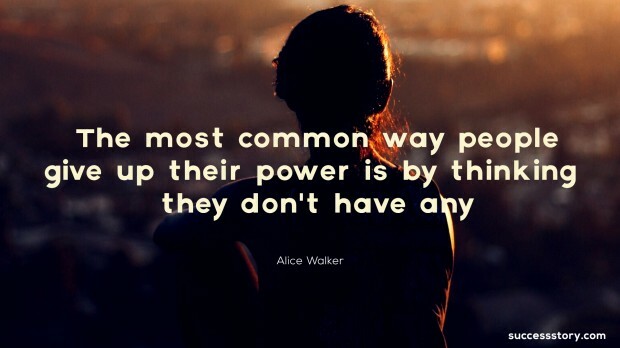 "The most common way people give up their power is by thinking they don't have any"